Whether you work in the nonprofit sector or otherwise, the idea of work-life balance is a huge topic nowadays. With workplaces becoming far less attached to a strict 9-to-5 pattern, there's a definite shift towards providing employees with extra perks and more flexibility. In return, more companies are expecting their staff to be available at odd hours, as well as potentially spend additional time at the office as needed (if you were wondering why many new workplaces offer laundry services, nap rooms, and child or pet care, this is why). As an employer, it's a fine line to walk - how do you allow flexibility but still ensure work gets done? And perhaps more crucially, how do you encourage your employees to be engaged within the office but also have a fulfilling life outside of it? This is what work-life balance is all about: making sure that employees are splitting their time evenly between their work and their outside pursuits, in order to have a happier and healthier life. As we mentioned earlier, many workplaces are doing away with the 9-to-5 model and letting employees choose their own hours. The work day is no longer one-size-fits-all; skilled employees may be more productive early in the morning or later in the day, and it's a huge bonus for a workplace to take that into consideration. Communicate to your staff that you don't have a daily punchclock, although you do expect them to show up and get their work done (and it's their responsibility to finish their tasks within whatever time is allotted for them). You might also want to consider implementing "summer hours" where employees only have to work half-days on certain Fridays (this goes over really well on holiday weekends!). You may be surprised at how motivated employees are to work harder - and better - when they're allowed to dictate their own hours. Along the same lines is giving the option to work from home. This is super important for employees that have children or other responsibilities that could be hard to juggle with a full workload. If they're given the freedom to work from home a couple times a week, it could lift a huge amount of stress - which could mean healthier and happier staff. This move also demonstrates a level of trust between employer and employee; since you're not micromanaging their every move and looking over their shoulder, your staff will have more faith that you believe they'll complete their work on their own. Although there may be initial concerns about whether or not they'll be spending eight solid hours on their work every day, it's time to let that go. Letting your employees work "on their honor" is a good way to build a sense of accountability and responsibility. If you'd rather your staff work from the office, try not to be firm on specific lunch break hours. For some individuals, this may be the only point during a hectic day when they're able to run errands, eat a decent meal, or just take some time for themselves. It's a good move to not be clock-watching while your staff are out; simply emphasize that they should take a "reasonable" amount of time for their lunch break. So you've decided to let your employees work from home a few days a week - you're going to need to equip them with the tools needed to let them work from anywhere, whether it's their living room or a coffee shop down the street. Invest in good laptops and train your employees on using Skype or other messaging programs to keep in touch. Also, it's worth putting together a work device use policy and training your staff in digital safety (to help save your IT department from removing spyware and viruses). Working from anywhere should still be considered a privilege, and employees ought to treat their corporate devices differently from their own personal devices. Although you're offering the work-from-home option, you still want to make sure your office space is as inviting as possible - after all, a motivational open space makes for productive staff. You may want to look into what types of colors are most inspirational for different moods, and what kinds of art and design could help make your company's corporate space into something more inviting. When putting together your office layout, consider having separate breakout rooms and soundproofed quiet rooms for when people need to get down to business. This is particularly vital if you're going the open-concept office route; not everyone works well with a wide open space, so providing personal quiet spaces is essential to making sure your staff feel comfortable in their workplace. Once you've got your team in one place, it's smart to come up with activities both in and out of the office that will engage your staff and help them connect. Forward-thinking workplaces often have social committees made up of employees that put together events like movie nights, sports teams, or after-work dinners. Having these types of activities can help employees feel more at home in the workplace, as well as building friendships with their colleagues that can assist them in being more productive at work. One step further from social activities is team-building exercises. These endeavors have the specific purpose to bring colleagues closer together and demonstrate how well they can work together as a team - think escape rooms, trust exercises, or problem-solving puzzles. It's even better if you can get out of the office to do some team-building - this gives it more of an "event" feel, as well as a little break from sitting at a desk all day. Want to go beyond team-building and do something with lasting impact? Try workplace volunteering. Whether it's signing up as a work team to run a marathon or getting together to sort canned goods at the local food bank, it's a feel-good activity that goes a long way. Not only will team members have the chance to bond, but they'll be doing so while knowing that they're helping out their community. You could even offer to give employees a bonus day off per year for them to partake in a volunteering activity of their choice, if they'd prefer to volunteer by themselves. Either way, encouraging volunteering in the workplace is a huge part of corporate social responsibility, so look to put a workplace volunteering program in place and see how the results blossom. A step further into the corporate social responsibility category is letting your employees sign up for payroll giving. This allows them to choose a portion of their paycheque to be automatically deducted as a donation to a charity of their choice. 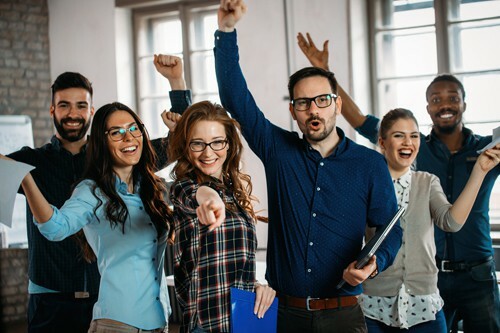 Employees that are charitably engaged through their company are happier and more satisfied, and this can go a long way towards helping staff feel engaged with their work life. Workplace "perks" are all the rage right now, and possibly even a deciding point when it comes to where skilled candidates choose to work. These days, many modern workplaces offer free meals or snacks, extra health stipends (think bonus allowances for things like massages or gym memberships), and financial services with no cost. Not only does it help make life a bit easier for your staff, it's also investing in their health and well-being. Some workplaces go even further by offering perks like childcare, laundry, or allowing pets in the workplace. By relieving some of the stress employees face when it comes to juggling daily responsibilities outside of the office, you'll have a team that's even more engaged and ready to put in maximum effort. 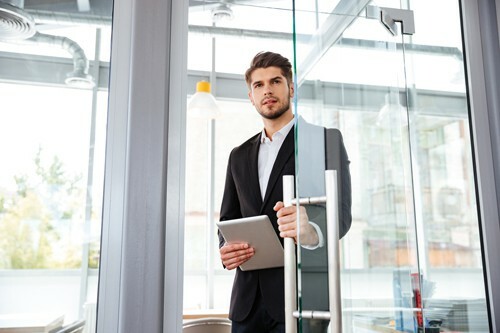 Some top companies take this literally, with high-ranking executives sitting in the open space amongst regular employees, but having an "open door" can also mean communicating that anybody is free to ask anybody else for help. Whether it's in regards to professional work or personal matters, it's remarkable how many issues can be worked out if staff feel free to have open discussions. It's also valuable to offer counselling services - whether in person or over the phone - in order to help employees better balance their life stresses. It's all about making sure your staff are bringing their best possible selves to work each day.